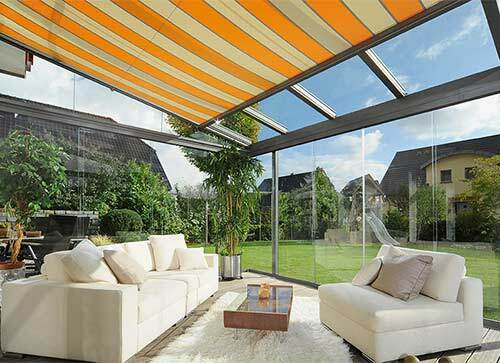 Awnings from Weinor – Presume nothing... prepare to be amazed! A fantastic range of fabric awnings cleverly created to compliment every location, for every reason including sun shade, weather protection, entry statement, storage cover and so much more. 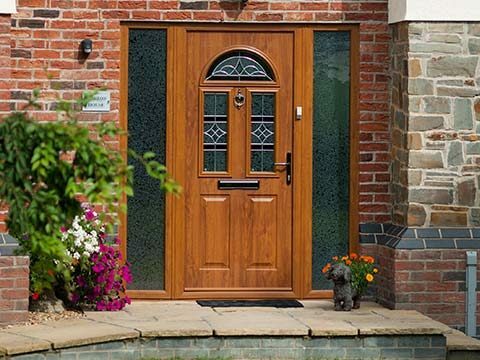 Supported and unsupported designs, even with sides, in the widest choice of styles, materials and finishes gives a usable and attractive addition to any location. 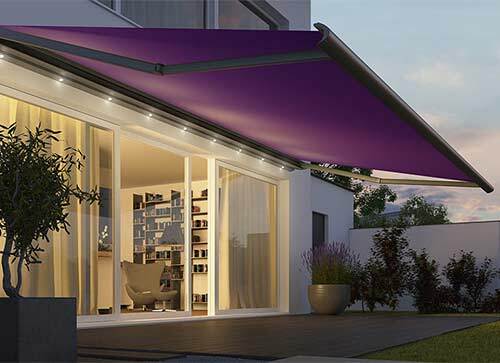 Resilient and long-lasting: folding arm awnings are a combination of high-calibre design and premium technology. Depending on where you want to install your awning, the desired level of convenience and awning features, you can choose from three awning categories. Cassette-awnings - The cassette keeps the awning fabric and mechanism as safe as houses – the perfect solution if you’re looking for the best-possible way to protect your awning. Semi-cassette awnings - On the semi-cassette awning, the fabric as well as the mechanical parts for the awning roof and retracted drop profile are tucked away safe and sound. For added protection compared to an open awning. Open awnings - An open awning is at the entry level to the awning world. 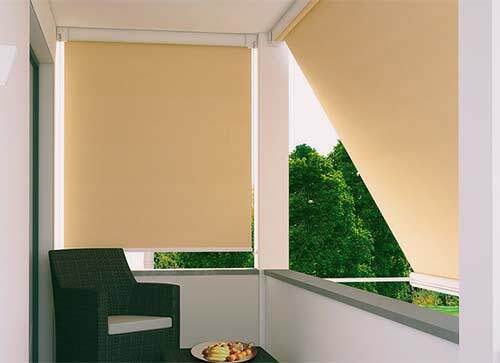 It is a suitable option if there is an overhang or balcony to protect the awning from the elements. 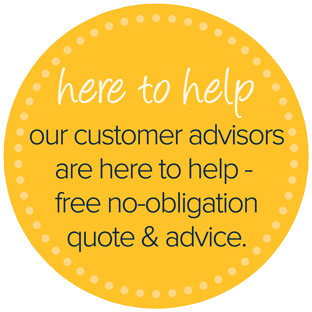 or download our brochure below. With its four new sun protection systems, our range of awnings all share a pioneering design that beautifully accentuates a house’s facade. At their core is an innovative technology, such as the resilient LongLife arm or the warm white LED lighting. 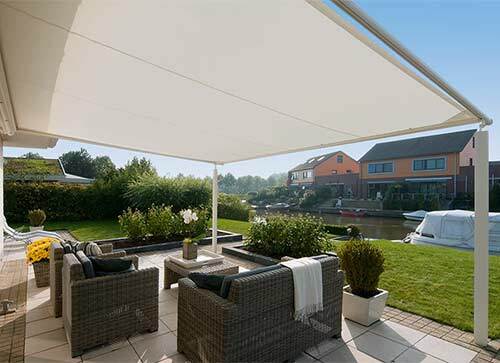 The sky’s the limit when it comes to choosing Pergola awnings which offer significantly greater protection due to their high resistance from the sun, wind and rain. The post support system makes this the ideal choice when choosing an awning in an exposed location. Large glass areas allow the sun to pour in virtually unhindered. The effect: heated interior spaces with the potential for unpleasant glare. 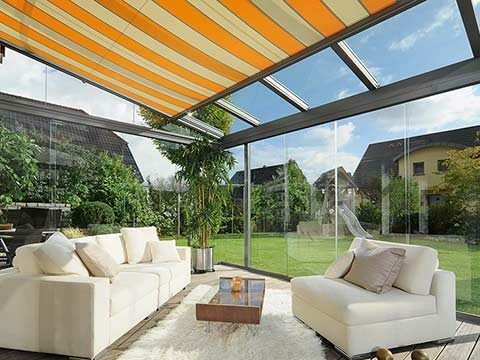 With an externally fitted vertical awning from the VertiTex range, offers sun protection, an anti-glare screen, wind protection and privacy protection all rolled into one. The fabric and technology are both housed in one miniature, delicate cassette but are still capable of shading large areas. The award-winning VertiTex is available in different versions, colours and fabric qualities to suit your requirements. 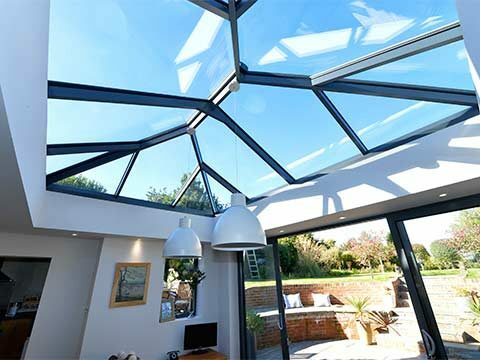 The good thing about light flooded conservatories, orangeries and patio roofs is also a challenge: When a lot of sunshine comes in, it is perceived as dazzling and it can become uncomfortably hot. 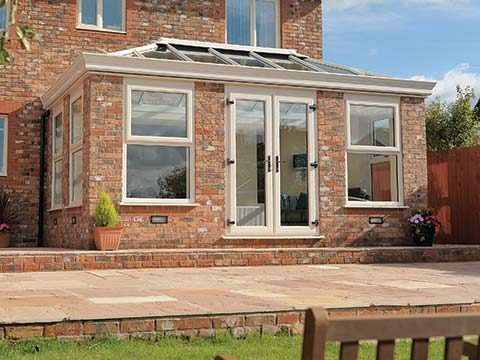 With conservatory awnings, you will create pleasant shading and your personal feel-good climate. 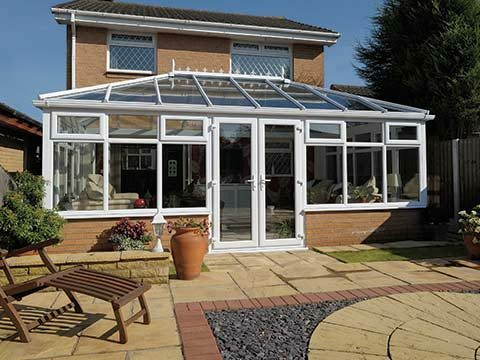 Heat protection installed on the roof - Fitted conservatory awnings from prevent the air under a patio roof or in a conservatory from overheating. 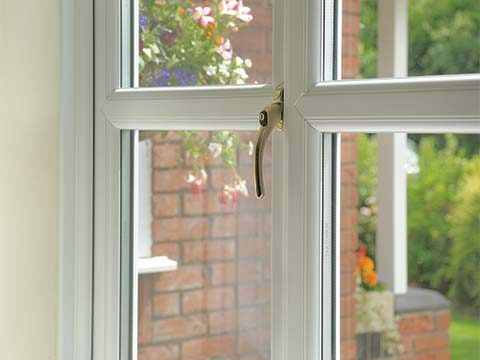 There are two versions available – the heavier duty WGM 2030 and the smaller WGM 1030. 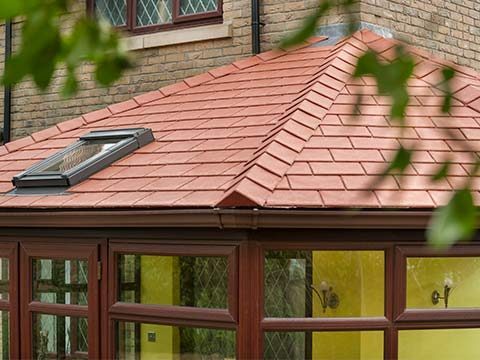 Both off er excellent stability and can shade a variety of roof sizes. Glare protection mounted under the roof - The under-mounted Sottezza roof awning does not only provide a cosy textile flair, it also provides unbeatable glare protection. It is the elegant but effective supplement to every patio roof, thanks to the lean cassette with invisible technology.